Guide Jon Baiocchi will teach the high water tactics that are so important for anglers who want to fish the Truckee River and other Northern California waters during the spring thaw and snowmelt. Located off Hwy 3 near the old mining town of Callahan and west of Mt. Shasta, Sugar Creek Ranch offers seven private lakes with rainbows up to the mid-teens in weight. A unique opportunity to fish the Truckee River - The Truckee River House is at a prime location on the Truckee River in an area that is normally not easily accessible to the public due. 6:30 p.m. • Gardens at Heather Farms • All members welcome. Gardens at Heather Farm • Doors Open at 6:30 p.m. • Program starts at 7:30 p.m. Fish the UC Davis property on the Lower Yuba. Cost is $50 per person. Only people signed up for the event will have access. 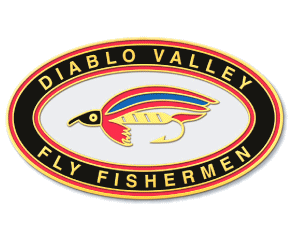 This is a special opportunity to join DVFF members next June in Twin Bridges, Mont., for five days of fishing guided by Four Rivers Fly Fishing and targeting trophy Rainbow and Brown trout. Learn tightline nymphing techniques made famous from the Upper Sacramento river. An opportunity to explore the Southeastern portion of Plumas National Forest (the “Lost Sierra”) with guide Jon Baiocchi. Come experience world-class top water smallmouth bass fishing! Southwestern Oregon’s beautiful Umpqua River is one of a handful of places in Oregon where a determined angler can land 50 to 100 smallmouth bass on a pleasant late spring or summer day. This is a long-running and popular outing for those who want to fish different types of waters in the Sierra, at elevations from 6,000 to 12,000 feet. It‘s a good trip for novices, too. On water clinic for Fly Fishing Fundamental graduates.